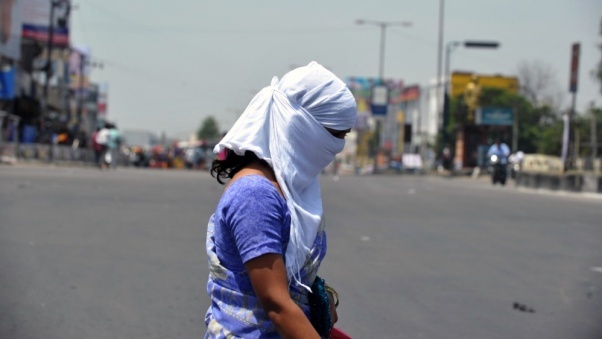 KATHMANDU: The Tarai-Madhesh is facing a growing risk of heat waves. The study on ‘Assessing trends of heat waves and perception of people about health risks of a heat wave in Nepal’, conducted the very first time in Nepal, showed that the recent freak storm that struck some places in Bara and Parsa districts was the result of uneven heat. This is mentioned in the report of study financially and technically assisted by the World Health Organisation and conducted by the Nepal Health Research Council (NHRC) in the capital on Monday. The preliminary findings of the report are the scale of heat is increasing and the southern plains witness hotter nights; the impact of pre-monsoon before and excessive rains during monsoon. Meteorological data from 1987 to 2016 were taken for the study with the support of the Department of Hydrology and Meteorology. The study included 318 participants of three districts and over 50 percent of them had adverse health impact due to the increasing heat. The report notes the Tarai-Madhesh is coming under risk of a heat wave and the preventive measures against its consequences should be taken on time. According to another report about the national survey on non-communicable diseases unveiled today itself, the density of disease is 11.7 percent. A total of 13,200 people above 20 years of age of 72 districts were covered by the study. Of them, 8.6 percent were found with diabetes; 6 percent with kidney problems and 2.9 with heart-related problems. The lab test of blood and urine samples and medical checkup of hearts and lungs of the participants ended with these findings.